This entry was posted in Painting In Watercolour on May 25, 2010 by raxxar. The above card is very simple. I made my own flower embellishments using the Decorfin Glass Paints. On the Pink one, where I mixed the pink paint with White Opaque, I added some glitter while the glass paint was wet enabling to adhere to the paint once dry. I feel it just gives that extra touch and, a little bit of sparkle is always much needed I think. This entry was posted in Decorfin Glass Paints and tagged Decorfin, Glass paints, Relief Paint, wall hanging on May 13, 2010 by raxxar. I made this card above last week using the Glass Painted Butterfly Topper, which I made a couple of weeks ago and only got round to making something with it last week. Now, that I am on the mend after feeling rather painfully poorly i thought I would share my recent cards made using the Glass Paints. I have made what is called an Easel Card which is perfectly understood as to why it's called an Easel Card by looking at it on an angle (see below). This entry was posted in Decorfin Glass Paints and tagged Decorfin, Glass paints, Topper on May 10, 2010 by raxxar. 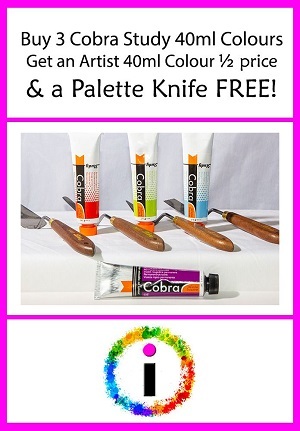 Finally the New Cobra water-mixable range of oil colour is here, the replacement from the Van Gogh H2Oil colours. Now I can talk about them, I 't dont have much to say yet as I haven't had the chance to try them but have read all the sales blurb and they sound really good and cannot wait to have a go with them. If you go to www.cobra.royal-talens.com you can learn much much more and see demonstrations. This entry was posted in News and tagged artist quality, cobra, h2Oil, oil colour, watermixable on May 5, 2010 by raxxar. I have just not long sat down with a nice cuppa after having spent a good 2 hours or so in my little craft wardrobe playing around with some of my new Glass Painted Toppers. I fell a little unwell early on this afternoon and had to take my mind off of what was wrong with me. And, I didn't have any other work to be doing as quiet - we have orders but, are out of stock so can not really do very much for my DH! he is the poor one who is working away in his office and keeping an eye on his shares. So, I quietly took myself to my craft desk and got creative. Even though I only got two cards done am still very pleased as my 2 hours of craft time was all about experimenting and creating "a make". I have not long photographed them so, shall upload when I get chance to and share my creations made. This entry was posted in Chat and tagged Cardmaking, Decorfin, Glass paints, Topper on May 5, 2010 by raxxar. This challenge is slightly different and will hopefully get your creativity flowing! 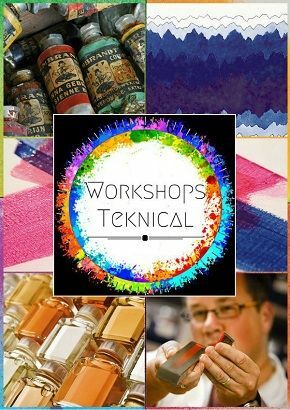 Decorfin Glass and Relief Paints (there are also a few others on the page that the link goes to).Royal Talens has provided the glass paints, relief paint and a brush, and we will cover the postage. One being a glass painted topper, that can be set on a card if you wish to demonstrate how it could be used, but the marks will only be to the topper itself. One having a wedding theme, using the glass and relief paints along with what ever you feel inspired to. The only thing that must be done is to combine the glass paint together with the relief paint. This can be done on any surface or background that you feel lead to, as it is very versatile and will go onto any surface. Just be sure to take your time and read the leaflet that will be enclosed and visit our company blog for tips on how to use it if it is new to you. There is also examples of work on the blog too. The colours we will provide are Fuchsia, Turquoise, Violet and a gold relief paint. The closing date for this challenge is Friday 11th June 2010 @ 8pm. Could you please either e-mail me at natalie@trinity4arts.co.ukor Upload your entries to the Glass Painted Challenge thread over on the Crafts Beautiful Forum please. Thank you! This entry was posted in Blog Home and tagged Cardmaking, challange, Decorfin, Glass paints, Relief Paint, Talens, Topper, transparent glass paint on May 5, 2010 by raxxar. I felt it was time to give myself a project using one of the Dutch art materials that we sell on our website. I decided to base the theme of my project on "Wings!" anything with Wings is to be used in this project of mine and I want to create a canvas craft-work. So, I have used the Rembrandt Watercolour Paints 5ml tubes and used them to paint in this stamped image, which was given to me by a dear friend, Sarah Louise (aka tiggertastic on CB Forum). This entry was posted in Painting In Watercolour and tagged brushes, canvas, rembrandt, wall hanging, watercolour, wings on May 4, 2010 by raxxar. I have made this Glass Painted topper using 3 layers of the same image. Unfortunately, when making it dimensional the glue on the first layer eventually flattened so, the very first layer has not worked properly. But the 2nd layer worked as did not add pressure that time. These layers were adhered using silicone glue for decoupage, which you need to allow lots of time to dry. Anyway it eventually worked and created this topper shown below. And some other pics of it, one with a close up where you can see the silicone glue. I then used this Flower Topper and used it within a card make. I made it the focus of the card too as it is very dominating the topper and just fits really well with the loral paper I have used which you will see in here . This entry was posted in Decorfin Glass Paints and tagged Decorfin, Glass paints, glue, Topper, transparent glass paint on May 4, 2010 by raxxar. "A Watercolour Card for Someone Special"
I am part of a craft Forum and on a daily basis spent some time there uploading my handcrafted cards and other makes. 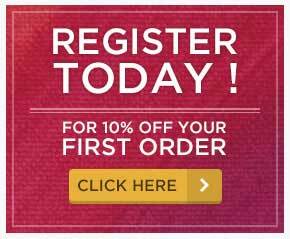 I am not only passionate for the Glass Paints we sell on our website but, have a bigger passion for painting and really enjoy painting with the Rembrandt Watercolours we also sell online. The sheer vibrancy and purity of the paint itself is of such high quality and, not only that, the feel of them to paint with is just beautiful. This card above uses a stamped image of an Angel sitting on a toadstool (from the Rachelle Anne Miller Collection of stamps) which I have painted in with such joy. The colours used, or at least some of are: Quinacridone Rose, Sepia, Olive Green, others I will name later when I remember them. I got a lot of good comments on this card and especially on my painting skills. The "Special Someone" I set this card to I also sent her some of the Rembrandt paints to try herself and Wow! Her results are just stunning. It amazes me when I see other crafters paint and use in their cards also. Just goes to show you that painting with paints straight onto your cards really gives a perfect and stunning finish. Above just shows you a close up of the painted image on another angle. If you like painting and enjoy, as much as I do, painting with watercolours I urge you to try your hand at it as it really, really, really does make such a difference than a printed painted card of an original. Yes, it takes time but, the finished result is quite something and receivers are touched by your kindness and the work gone into it too. Happy Painting All. This entry was posted in Painting In Watercolour and tagged artist quality, Card, Cardmaking, paint, rembrandt, watercolour on May 4, 2010 by raxxar. Like any other there are always Hints & Tips for anything you use when making something. I have come across a few things since starting using the Decorfin Glass Paints and want to share these with you as I know there are many friends of mine over on the Crafts Beautiful forum are taking part in our Glass Painting Challenge. If you read the following tips and hints you will soon be well on your way to beautiful & inspiring glass painted makes in card-making. * When changing to another colour when painting have some luke warm water or even Turps, which is better, to dip your brush in and a paper towel for drying off, leaving clean for next colour. *Apply the Relief Paint thickly, to do so take the nozzle off and apply or even, draw over the first layer of relief paint ( I tend to do this ) while wet and then leave to dry flat. If you require thicker add as many layers of Relief Paint as you need. * Apply the Glass Paints thickly to your topper you are making so that brush marks are not seen at all. When doing so though, make sure you have used the Relief Paint thickly too or else the Glass Paint will go over the lines of Relief Paint. I tend to thicken the relief paint at least 3 x when painting thickly. But wait till dry enough to go over with the next layer. You could also try encompassing a small decorative object within the layers. * You can use the Relief Paint also, for writing text on your card makes if you feel comfortable with your handwriting. You can also, use the relief paint to draw swirls and anything else for a drawn effect. * When drying the Glass Painted Images created you need to lie flat for 24 hours but, I have found that some colours are not fully dry after the required 24 hours so, a tip from me is to hang your toppers on to a wall or door and allow to dry more as then the colour will not drip and allows more free space to work to make more. When doing so, just use a piece of masking tape or sellotape when pinning up to dry. * Colours Light Blue and Transparent White take a bit longer to dry I have found and leave a sticky feeling so, bare in mind as I have left things lying around and bits get into them and remain there leaving the topper a bit messy. Also, keep fingers away from the stickiness as will leave finger marks. * I have found that when I get craft magazines and see some useful templates of basic shapes, I cut out and keep and use these for drawing over with Relief Paint, especially when creating on acetate as you can lay the Template underneath the acetate and then store away in an envelope for later makes. Very handy are templates, especially if you can not draw. If you are happy with your own drawing skills and enjoy drawing then you can easily make your own templates to use; the heart below is my very own hand drawn template that I use a lot in my crafting. * Using Stamps, the Image of, you can use the outline as a base or, if abstract enough to use all detail on it use as a template for your glass painted topper. (I used this Butterfly Stamp below to use as a base for a topper to make a card). * I have found that Punches in Cardmaking ie. squares, circles etc. and scalloped ones too are handy to punch the shapes out and adhere to the surface you are working on and go over with the glass paints - either to use as a outline or fill in. It is interesting when you have a scalloped square paper with flowers on and you see the Transparent white over the whole square and the pattern can be seen through the glass paint. But, also you can use punched out shapes - especially little shapes - and sprinkle on top of the glass paint whilst wet to create something different and then use the Transparent white over that once dry. This sample below just shows a small sample I have tested out on using Transparent Glass Paint on top of patterned paper, so nothing special. Watch out for too much paint on the brush - it can get everywhere! When painting in small designs make sure that you use a small headed fine brush when applying, so not to have paint coming out over the sides of the design. Make sure your lids are on tightly and storing paints upside down will help stop them drying out. Masking fluid - this can be used to maintain white marks where wished on the design but, we give this as an idea to try out on canvas. When producing layers of glass paint you need to wait til each layer of relief paint and glass paint is dry (use thickly though) and then do the same again for the 2/3/4/5th layers - as many as you wish, just bare in mind the weight of the base the design goes onto. The other way to produce layers of glass paint is to create your design and repeat however many times and relief each one using either beads or sticky foam squares to raise each layer. Below, is an example of the 3 layers seperately then, one of all the layers layered together with beads. This entry was posted in Blog Home, Tips and Hints and tagged Hints & Tips, glass card making, Glass paints, releif paint, turpentine on May 4, 2010 by raxxar.